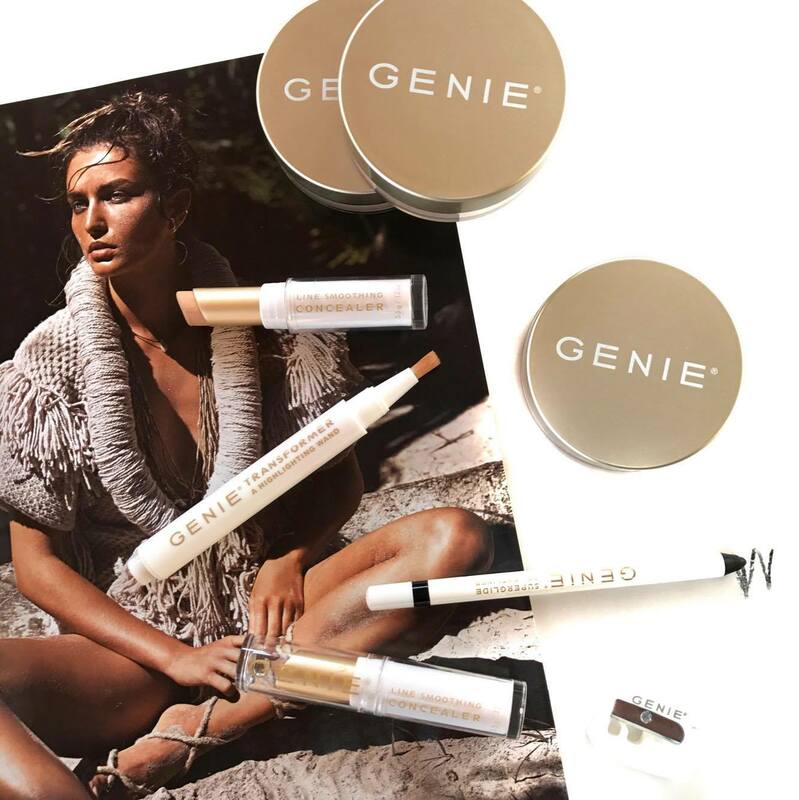 I am obsessed with Genie Beauty's Lash Kit (you can read my review here), so when I received some more Genie products in the mail, I was so excited to try them out. Today I thought I would share my thoughts on them. This loose powder foundation is great for days when you are wearing minimal makeup, or for when you need something to set your liquid foundation. This foundation is great for my dry skin, as it helps hydrate the skin with ingredients such as Japanese honeysuckle, jojoba and vitamin E. I have a big problem with powder foundations emphasizing dry patches, or leaving my face feeling parched; this foundation does neither. The lightest shade, Light (3) matches my pale skin perfectly. This cream concealing stick is super buttery, but not oily, and glides onto skin to give natural looking coverage. I glide the product straight from the stick onto my undereyes, and then use the warmth of my fingertips to pat the product into my skin. I find that this offers medium coverage, which is great for covering my undereyes, but not covering blemishes, as I prefer the fullest of full coverage. This gives such a natural finish, and as long as I set it, it doesn't crease. This concealer comes in three shades (Ivory, Beige and Honey), and I find the lightest shade (Ivory) matches my skin perfectly. I do wish that they offered a slightly lighter shade so it had greater brightening properties for me, but as I use this for everyday wear, it's not the biggest deal. This can also be used as an eyelid primer, which I love! This wand is designed to give the look of an eye lift, brow lift, plumping and radiance instantly! I wish I could provide a full review of this, but unfortunately the only shade it appears to come in is way too dark for my skin tone. It feels beautiful on the skin; lightweight but with decent coverage. I recommend this on those with medium tone skin, as it would be a true skin tone highlighter on them. This eyeliner is hypoallergenic, dermatologist tested and fragrance free. It is such a creamy eyeliner, and glides along the lash line and waterline with ease. It is waterproof, sweat proof and melt proof, so will last on the eyes all day, without melting down the face. It also dries to a non-budge finish in 90 seconds, which is what I look for in an eyeliner. If you are looking for a true black finish, this is a great option. 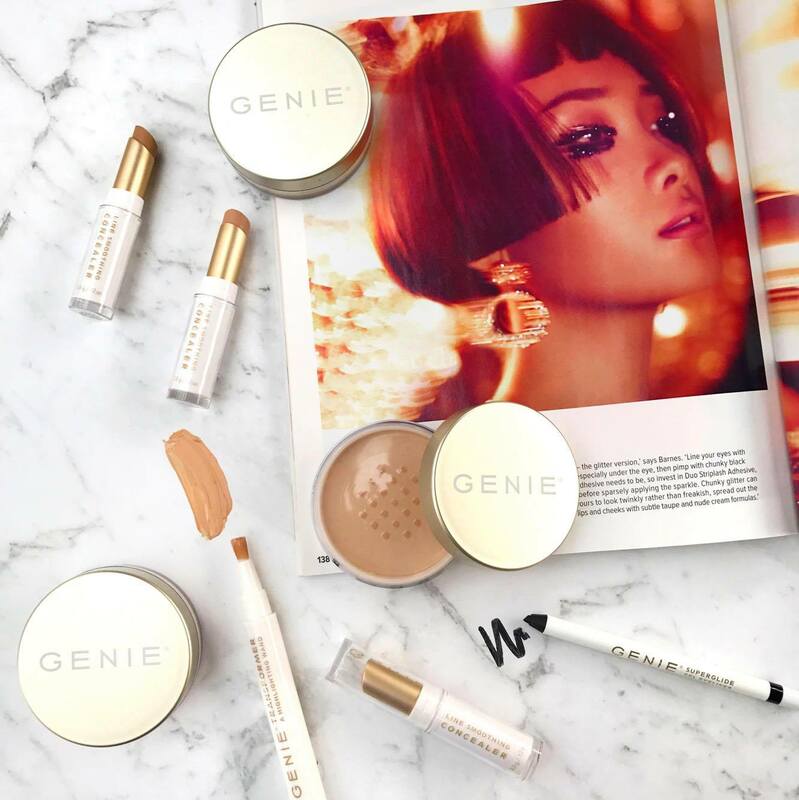 Genie Beauty is available from TVSN in Australia.